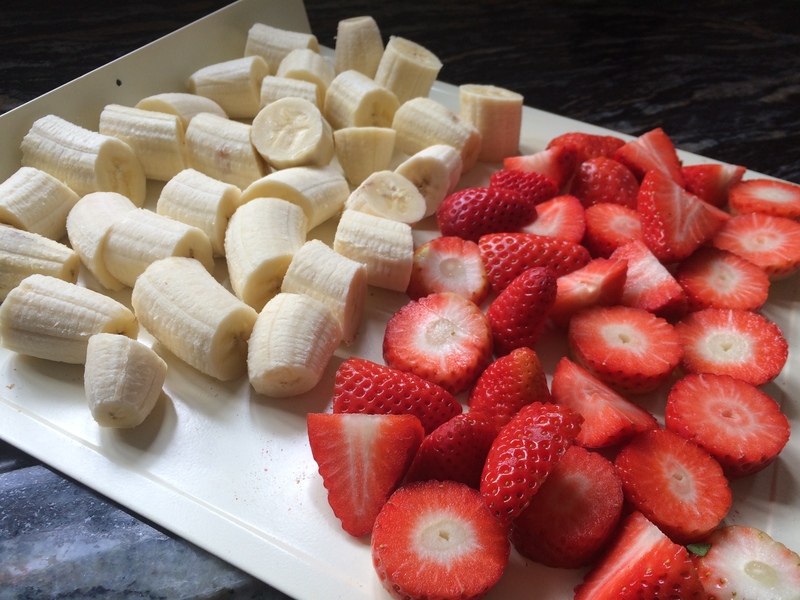 The easiest, tastiest dessert ever…………..
Open freeze banana slices and strawberries. When frozen, store in a freezer bag. Take a handful of frozen banana, a handful of frozen strawberries and place in the cup of a Nutribullet. Add a good cup of live yoghurt. Blitz for 30 seconds. Voila………..instant ‘ice cream’ ready to eat. 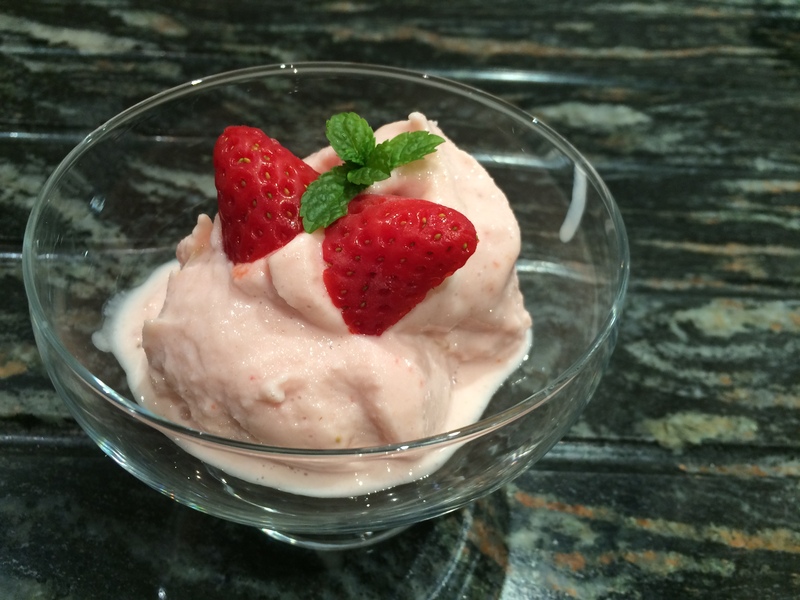 This fruity ‘ice cream’ can be made with almost any fruit but our favourite is definitely banana and strawberry. The banana gives it a creaminess. Raspberries and mangoes are excellent, as are blueberries and blackberries. The choice is yours. Leave your bananas to ripen fully before freezing (the more black spots, the better). This entry was posted in Sweets and Treats and tagged Banana, Gluten Free, Healthy Eating, Ice Cream, Mango, Strawberries. Bookmark the permalink.